political actions that they're working on right now. 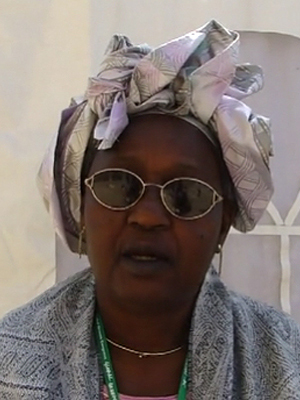 President of the Green Party of Mali and Professor of higher education. Originally from Romania and immigrated to Canada at age eight. Since 2009 she has worked with the Green party across Canada. In 2011 she contested in the Saint Lambert district as a Green Party candidate. Carmen then served in the Executive Council of the Green Party of Quebec and served as well as the Campaign Director for the Green Party of New Brunswick. Carmen has also worked as a Green Party organiser for the federational elections in 2015. Today, Carmen is the General Director of the Green Party in New Brunswick. She is a member of a numer of environmental groups fighting for social justice and sexual equality. Marie is a member of the political Council of the Green Party of Lebanon and Founder of the NGO "Association Humaine d’Environnement et de développement (HEAD)". Marie is also a Member of the Arab Network for the Environment and Development (RAED), Member of the executive council for the Lebanon Environmental Forum. Marie's interest for many years is to strengthen the presence of Lebanese women in active politics. She believes that equitable participation of women in politics and the government is essential for all democratic societies. Catherine has been a Green activist since 1985 and is a member of the Green Party in France Europe Écologie Les Verts (EELV); and has served as a Member of the European Parliament from 2009-2014. Catherine served on the Global Greens Coordination from 2001-2009 as a representative of the European Greens, and helped organise the first Global Greens congress held in Canberra, Australia in 2001, and contributed to the editing of the Global Greens Charter. Evelyne is a member of the European Green Party Committee and serves as Europe's Lead Representative on the Global Greens Coordination. Evelyne is a member of the Belgium Green Party Ecolo, and is a Belgium Member of Parliament. Evelyne formerly served as Minister of government for the Brussels region with the portfolios on environment, energy, urban renewal, youth (social action, adoption, incarceration, poverty and disability) and senior citizens. Evelyne has been a Green activist since 1982 and has been elected in the Brussels parliament since 1989. Her objective is to create a sustianable city and region which reconciles economic development and job creation, environmental protection and social justice with the revitalisation of citizen participation.